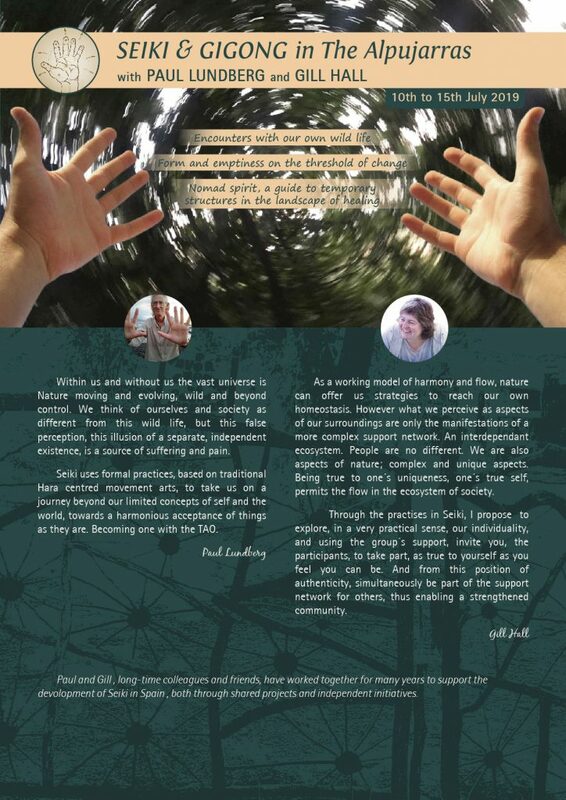 This course will offer all participants the chance to go deeply into questions and presumptions underlying our training and practice as therapists. Firstly, we will look at the way Shiatsu training follows conventional principles, whether these are associated with modern or traditional East-Asian medicine or with the particular schools and styles of Shiatsu itself. Then we will consider how this connects with those deeper issues of life, freedom and happiness which affect all human beings. We must surely wish to get the emphasis right. If we are really concerned with healing, we may need to step beyond therapeutic expertise and the exercise of medicine to embark on a journey of self-transformation. A point is reached when formal knowledge and learned techniques must be integrated, transcended or abandoned. The ancient philosophies of the East recognised reality as dynamic continuum of matter, energy and consciousness, and pointed out many practical ways to harmonise inner experience with the exterior world without separating body, mind and spirit. Transmitted through Taoism, Shinto and Zen, the principals of harmony between Nature and humanity were embedded in Japanese Ki Culture and the Hara arts, including subtle forms of medicine. This is the proper context for modern Shiatsu, without which it becomes limited and diminished. Seiki is an integral system of essentially simple practices based in this tradition. It serves as a contemporary guide and a vehicle for exploring Life-movement harmony on a level that can be shared by everyone without distinction. It is “nothing special”, but it is spacious and deep. It may become the means by which we find and follow a personal path, “a path with heart”. The course will be given in English and translated into German. 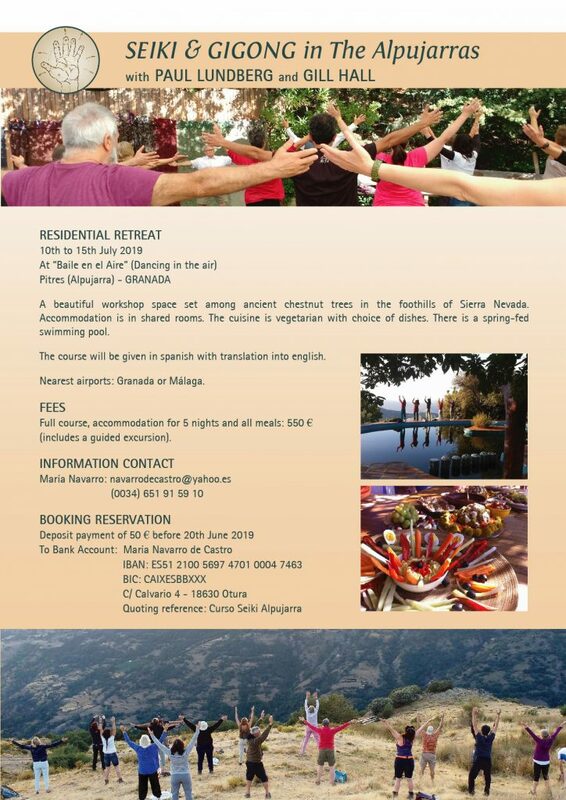 I am happy to announce here that this Summer we will be celebrating the third Seiki intensive in the beautiful Alpujarra region in Southern Spain. The course centre, called Baile en el Aire, which means “Dancing in the Air”, offers simple accommodation, great food and a stunning shaded working area overlooking the high valley and the mountains beyond. Seemingly poised between Earth and Sky, it has proved an inspirational setting for learning and practicing our Daoyin Qigong, and an ideal space for our exploration of the various aspects of Seiki. The Seiki Way is essentially a vehicle for personal transformation. Based on Japanese Ki Culture, woven through with ancient animist tradition, the subtle arts of movement and touch are simply adapted for contemporary life. In the company of fellow travellers we can find and transcend each step of our healing path in direct communication with Nature, both within us and around us. Experiencing the permeable borders of subtle reality – this becomes a close encounter with our true Self. This year the course is offered as a joint venture – Gill Hall, my long-time friend and collaborator in Spain, will not only give support for the English speakers with close translation of my (idiosyncratic) Spanish, but will also present some of the sessions, lending the benefit of her experience in combining Seiki with group facilitation and work on interpersonal relations. Below – all the details you need for further inquiries and reserving your place. Old friends and newcomers are equally welcome. I am very much looking forward to meeting you again and continuing this extraordinarily open and simple healing work which we know as Seiki. Please forgive me for a small indulgence as I finish this first post of 2019 with a little poem of mine. I wrote it over twenty years ago for my first Seiki “visiting card”, and we included a translated version in the flyer for a course I offered early this year in Spain, titled Volviendo a Casa (Returning Home). For me, it still expresses the essence of the Seiki way. Here it is in both English and Spanish renderings.